PET PROJECT Keaton loses her dog and then her mind in the latest from Lawrence Kasdan. The latest from writer-director Lawrence Kasdan can be a very sad thing to watch. Not because it’s about a missing dog and the gabby, mismatched people who miss him, but because every frame is a testament to diminished talent. At the same time, Darling Companion is so insipid that, even if Kasdan’s previous work didn’t include classics such as Body Heat, The Big Chill, Silverado and Grand Canyon, it still would qualify as a sorry sight. This is what happens when a filmmaker runs out of things to say and then continues to make films anyway. Darling Companion offers the pointless portrait of a privileged Denver family that triumphs over three days of inconvenience in the Rocky Mountains. 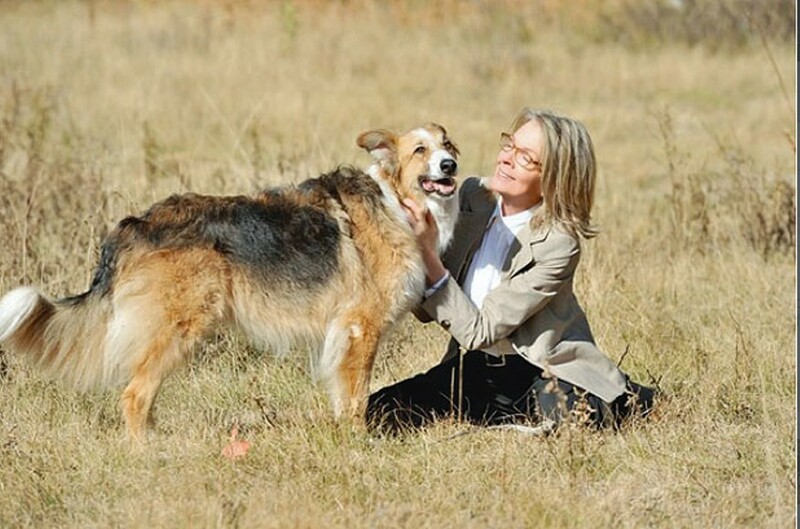 Diane Keaton gives one of her patented over-the-top performances in the role of empty-nester Beth Winter. Kasdan regular Kevin Kline costars as her husband, Joseph, a back surgeon whom — you guessed it — Beth accuses of thinking about work when he should be thinking about her. Early on, Keaton’s character freaks out when she spots an injured dog on the Colorado roadside. She rescues the animal and brings him home, even though she knows Joseph doesn’t want a pet. Just as the director has set the stage for a domestic face-off, though, he abruptly jumps forward “One Year Later” to when the dog has been dubbed Freeway and absorbed into the household. The transition is jarring, sloppy and a sign of trouble to come. Following the wedding of their daughter, the couple repair to their mountain home in the company of family and friends. These include Joseph’s sister, Penny (Dianne Wiest); her boyfriend, Russell (Richard Jenkins); and her son, Bryan (Mark Duplass). How much fun is this crew? The first chance he gets, the hound hightails it into the woods, leaving the humans to spend the rest of the movie searching for him while simultaneously working out their snoozy issues. Few who have followed Kasdan’s work over the years are likely to have envisioned him on a career path toward reimagining Lassie Come Home as a boomer dramedy. Of course, I don’t mean to suggest Darling Companion is as bad as that sounds. The truth is, it’s considerably worse. I haven’t even gotten to the gypsy. I’m serious. Smack dab in the middle of a Lawrence Kasdan film we find a woman (Ayelet Zurer) who works as caretaker for the Winters while glimpsing the future in her spare time. At first, many will assume this to be a comic gesture on the part of the writers — Kasdan and his wife, Meg — but, sadly, the joke’s on the audience. We’re to take seriously, it turns out, not only her magical gifts but her bottomless fount of folksy wisdom. Time seems to stand still as the three couples (Bryan hooks up with the gypsy) drop everything to look for the dog. Something happens every now and then, but these incidents appear to have been pulled out of a hat. One can almost picture the scraps of paper with madcap ideas scrawled on them: “Beth freaks out when she and Joseph are chased by rams.” “Somebody runs into a surly mountain man wearing a Harvard sweatshirt.” “Beth freaks out when Joseph falls and dislocates his shoulder.” Just when you’re certain things couldn’t possibly get dopier, Beth freaks out after a dream consisting of an animated sequence in which Freeway is menaced by wolves. Huh? Did I mention Sam Shepard turns up as a sheriff suffering from kidney stones? If Darling Companion accomplishes nothing else (and it accomplishes exactly nothing), it has to represent one of the greatest wastes of talent in Hollywood history. How did Kasdan get these people to show up? Did they not see the script? One can only hope that, in the future, the filmmaker’s powers won’t be limited to those of persuasion. * Running time: 103 min.